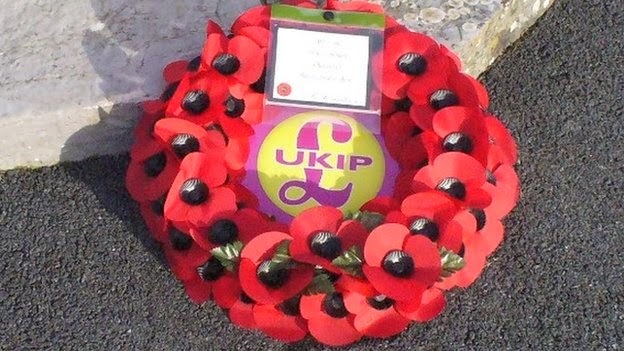 A couple of UKIP branches have attracted criticism for laying wreaths at Remembrance Day events, with one in particular coming under sustained criticism for the size of the UKIP logo in the centre of their wreath. Members of Plymouth & South West Devon branch laid a wreath at the war memorial in Plymstock which had a large UKIP logo in the centre. 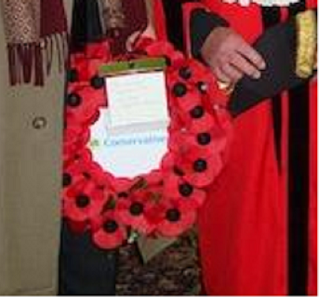 Labour and Tory councillors immediately went on the attack seeking to score political points despite being told that the design of the wreath is something that the Royal British Legion decide on and that members of the branch have no say in what it looks like. 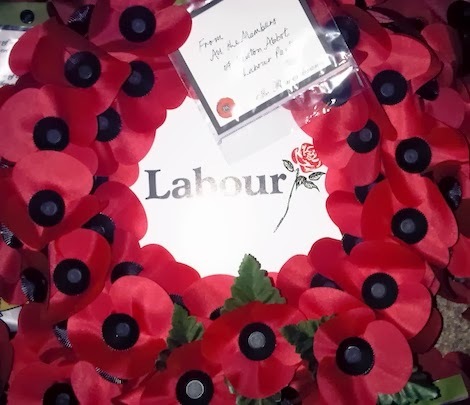 The Royal British Legion have also confirmed that they produce wreaths with the logos of all the mainstream political parties on so similar wreaths will have been laid across the country by the Tories and Labour. A wreath with a small UKIP logo was also laid in Lincolnshire without the branch's knowledge which also brought out the political opportunists with the leader of the Tories there trying to make political capital out of it by attacking the local party. Trade union funded anti-UKIP campaigners, Hope not Hate, have attacked UKIP's Thurrock branch for laying the same type of wreath - the design that the Royal British Legion choose and the branch has no say over - at the war memorial at Grays in Thurrock. It's worth noting the Tories, Labour and Lib Dems all lay wreaths at war memorials on Remembrance Day and have done for years yet there has been no criticism in the press of those parties for doing what some UKIP branches have done in exactly the same circumstances. 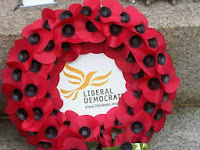 Three of these identical poppy wreaths are an acceptable way to remember our war dead and one of them is a disrespectful political statement that brings shame onto the people who bought it and belittles the contribution our armed forces to the nation. Can you spot the odd one out?